Large pores are an inherited trait that can make skin less attractive. Enlarged pores are most noticeable around the forehead, nose and cheeks. People with large pores are more prone to oily skin and acne because the pores are difficult to clean. Thankfully, many tricks and treatments can reduce the appearance of pores and create a healthier complexion. As we have all learned, heat expands and cold contracts. Wash your face with hot water to open your pores. Do not use anything stronger than baby soap to wash with. Use a wash cloth to apply a mild astringent such as apple cider vinegar or witch hazel. Rinse your face with cold water to snap your pores shut. Apply lotion before your skin dries, and allow your skin to air dry. This will brighten your skin by trapping the humidity in. Use a mild lotion intended for oily skin. 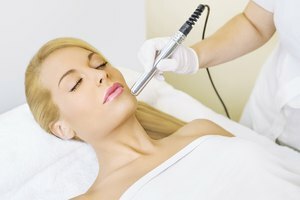 Microdermabrasion is an effective treatment for large pores. This can be performed in less than an hour, and results are immediate. During microdermabrasion, the doctor or aesthetician will sandblast your face with tiny crystals, a procedure that is relatively painless. Not only will your pores appear smaller, but your skin will be healthier all together. You may require up to six treatments, and the cost per treatment ranges from $75 to $100. 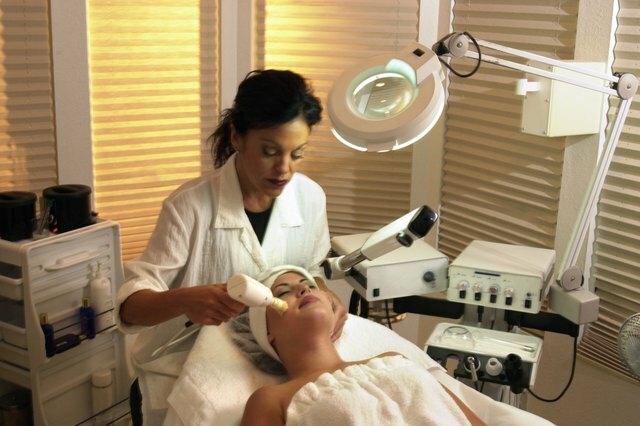 FotoFacial uses intense pulsating light, called IPL, to remove skin imperfections, including large pores. The IPL FotoFacial targets your interior layer of skin, the dermis, while leaving the exterior layer, the epidermis, intact. The light encourages collagen production, which reduces pore size. Even after your treatment, your skin will continue to produce more collagen and heal for a half-year. Most people require five to seven treatments. The cost ranges from $350-$600 per treatment. A chemical peel removes the epidermis, or outer layer of your skin using a chemical such as trichloracetic acid. This leaves the dermis exposed and leaves the skin painfully raw. The skin will appear red and may develop a crusty appearance. This will begin to heal in a week. Soon, a new epidermis will form with smaller pores. Chemical peels are moderately painful, and can cost between $600 and $6,000 depending on how deep the peel is. Light peels are less costly, but require more treatments. 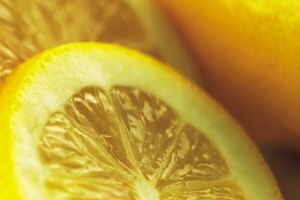 Deep peels are the most expensive, the most effective and the most invasive.